​Part optics, part neuroscience, Enchroma unlocks a new world of color for people with color blindness. Stop by one of our locations and speak with an optician to learn more. 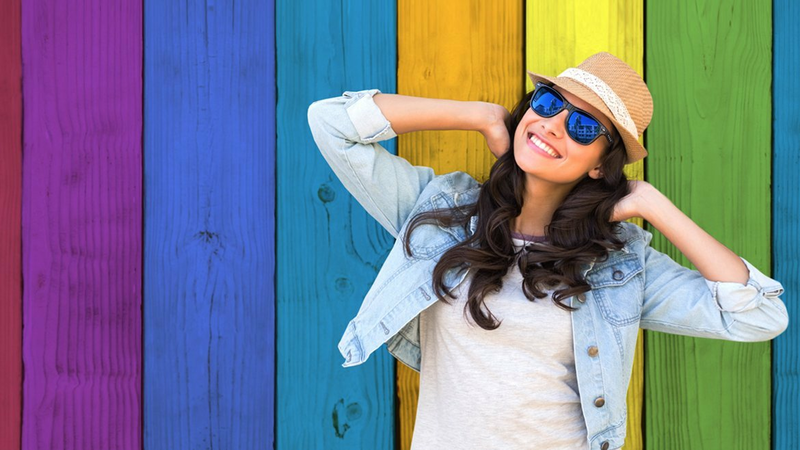 We'll help you understand the benefits of bifocals, progressives, high index lenses and prescription sunglasses. ​ State of the art no line bifocals. Why do you strongly recommend a backup pair of glasses when I always wear my contact lenses? Most new contact lenses wearers who follow our recommendations for wearing time, solutions and replacements schedules experience a minimum of problems such as eye infections or irritation. Wearing contacts for extended waking hours or over-wearing them past their recommended change schedule, causes significant calls to our office for eye redness or "infection". We recommend an updated prescription in your glasses to avoid any unnecessary costs and problems that can snowball rapidly from redness to infection. Why are eyeglasses more expensive than those advertised on TV or the internet? As with any product, there are differences in quality and workmanship. We, at Snoqualmie Valley Eyecare Associates, have chosen to provide you with the highest quality frames and lenses with the most reasonable prices. Frames that are advertised for very low prices are made of lesser quality plastic that come easily out of adjustment with the heat from your face . Theses inexpensive frames have marginal finishes causing them to lose their shine and in some cases will eventually turn white. Inexpensive metal frames contain a high quantity of nickel. Nickel is a very soft material causing the frame to get out of adjustment as it is taken on and off. Weld points at the hinges are weaker, increasing the likelihood of the frame breaking, or certainly coming out of adjustment. Nickel can also cause allergic reactions in some people. Local opticians and optical shops may do a good job of filling our prescriptions, but we have strong concerns with the use of eyeglass vendors over the internet. Fitting glasses properly involves precise measurements. Since internet vendors do not meet with you in person they cannot provide those services. Data seems to show that there is a 30-35% error factor for glasses bought through internet providers. If purchasing glasses from another source, we are able to verify the prescription, but unable to handle any difficulties with the quality of the product or lenses. Visual problems may result if a correct prescription is made with inaccurate optical measurements. Our frames and lenses are chosen by our opticians for their high quality and style at every price point. Our eye wear products offer the best solutions to your vision problems. We carry over 600 styles for adults and children, at all price points and materials. Our opticians will fit the frame to your face and make any necessary adjustments. All of our frames have a warranty that range from 1-3 years. Working with our opticians, we will help you select the proper frame for your face and your lifestyle. Fitting eyeglasses involves precise measurements, unbiased advice based on your vision needs, and skillful adjustments of the frame and lenses. We offer the most up- to-date technology for single vision lenses, computer lenses, as well as progressive lenses in order to meet all of your vision needs. Our opticians will be happy to show all that we have to offer. What if I have difficulty adjusting to my eyeglass prescription? Your prescription lens has 2 surfaces. The curves on the lenses as well as the thickness of the lens give you your prescription. These curves distort the image of whatever you are looking at. This distortion can sometimes make things looks smaller, larger, curved or angled. This is normal. Our brain actually takes the image from the eye and adjusts it so that it looks the way it used to. This adjustment to the new lens is dependent on how long it takes your brain to readjust to the image. For most people, this happens in a matter of days. Some take as long as 2 weeks. Although this is a rare incident, if you have any difficulties seeing comfortably through your glasses, please let us know. Many times, eyeglass adjustments can be made by our opticians. If this does not remedy the situation, our opticians will continue to troubleshoot with you, even rescheduling with a doctor if necessary, until we achieve the best results.